Mount Fuji is Japan’s biggest and most famous mountain! 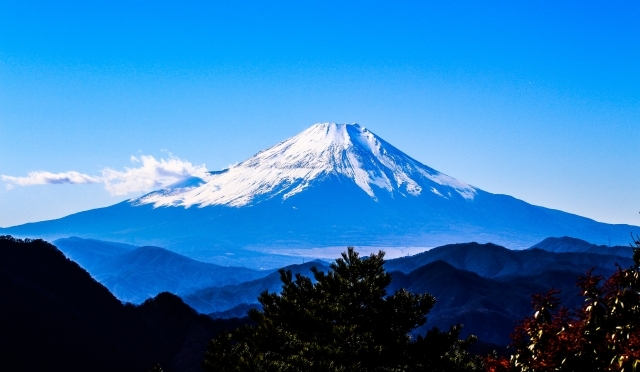 Shizuoka prefecture is where this glorious mountain is situated. Shizuoka prefecture is included in the Chubu region in the center of Japan. Shizuoka is very accessible because it takes less than one hour from Tokyo station by Shinkansen, or three hours by car. Shizuoka is popular as a tourist resort. In this article, we will cover the 5 most recommended tourist resorts in Shizuoka! 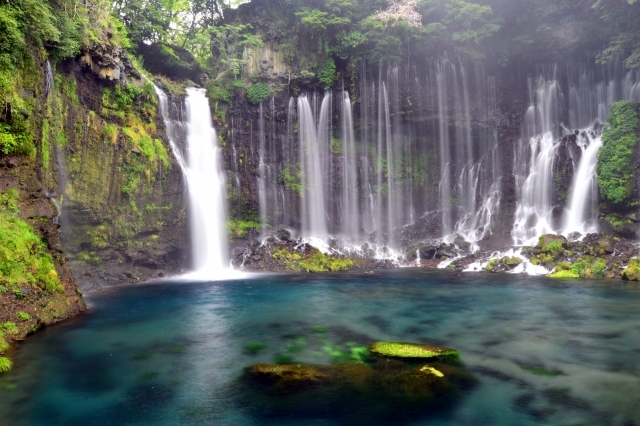 Shiraito falls is located in Fujinomiya, Shizuoka and has been designated as a natural monument in Japan. It is named this way from the way the water falls like white strings (shiraito) or silk strings (kinuito). Although there are some other waterfalls named Shiraito Falls in Japan, this one in Shizuoka is the most beautiful and popular, and has been selected as one of Japan’s Top 100 Waterfalls. Unagipai is the most popular souvenir in Shizuoka. 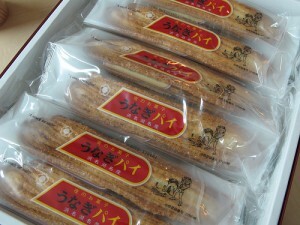 Unagipai-Factory is located in Hamamatsu, Shizuoka. The factory is open to tours. In one tour a concierge will explain to you how to make an unagipai in detail. And in the other, this is very popular with children, a funny concierge who plays a detective will show you around in the factory solving the mystery of Unagipai. Of course you can look around there by yourself. The entrance fee is free and even they will give you an unagipai as a souvenir at last. This is an enjoyable and inexpensive tourist resort! Izu Shaboten Park is located in Ito, Shizuoka. It features animals and cacti. There are around about 1,500 kinds of cacti and succlents from all over the world – definitely worth seeing! The cacti displayed in the five big pyramid-shaped greenhouses are unbelievable. And you will love seeing the free-range animals. 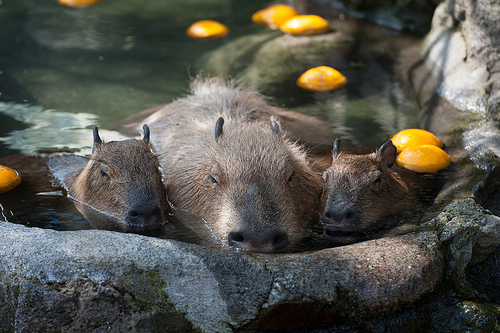 Capybaras bathing in hot springs are especially popular in winter. Nearby Izu Guranpal Kouen belongs to the same group as Izu Shaboten Park and is recommendable, too. You can enjoy dynamic athletic fields and activities there! 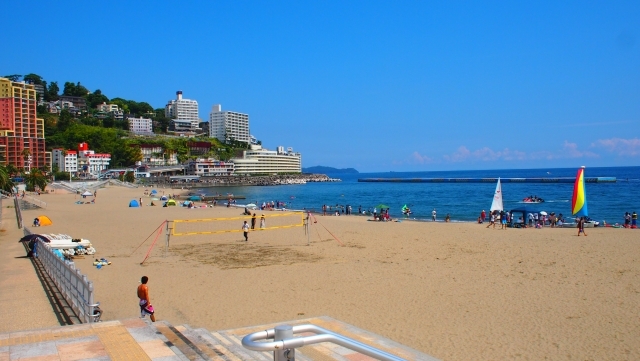 Though Atami is famous for hot springs, the sea is beautiful and the best location for summer vacation! There are three beaches in Atami, and the most popular and recommended among them is Atami Sunbeach. The beach is very popular with couples and families for its mild waves, palm trees, and tropical resort-like atmosphere. The beach is lit up at night. The mysterious and romantic atmosphere presents a different setting from that seen during the daytime. The fireworks display is held from the end of July to August. Kawazuzakura Festival is held in Kamogun, Shizuoka from February to March every year. 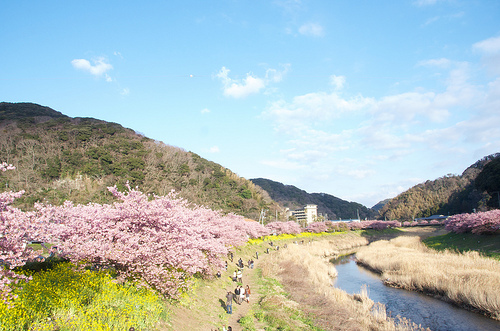 The area is filled with Kawazuzakura, a breed of cherry blossom that blooms from early February to March. Its flower is big and pink. The cherry blossoms here bloom earlier than other locations on the main island of Japan, and keeps its bloom for over a month. Around two million people visit there from all over Japan during the festival. You can even see the cherry blossoms lit up at night! There are many other tourist resorts in Shizuoka! Please be sure to go there!